Receive wholesale pricing on most items when ordering 12 or more! Call 1-310-320-0110, ext 225 or 238. 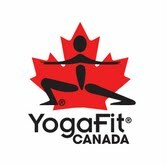 © Copyright 2011 YogaFit Training Systems Worldwide. All rights reserved. YogaFit®, YogaFitness®, YogaButt®, Yogalean®, PilatesFit®, Tai Chi Fit®, YogaStrength®, YogaFit Plus® and YogaCore® are registered trademarks of YogaFit, Inc.